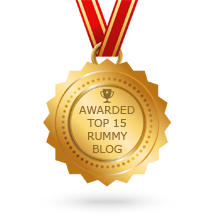 To get your online rummy career off to a flying start, you need a bit of an incentive. As winning at all times is highly improbable in a rummy game, you need some financial protection. While it’s hard to deposit extra money for safety purposes in an area like online rummy, you may be wondering what to do? A big rummy bonus – incentives that come along with the deposit – is the best way to get that financial protection. And it also ensures you do not have to scrabble around for money. The bigger the bonus amount, the better financial security you have. And most of the rummy game sites understand this technique very well and attract users with lucrative bonus offers. Players who want uninterrupted rummy experience often make use of these offers and stack their account with cash. In many ways, the online rummy bonus offer is the equivalent of rewards that a player gets when he frequents a casino except it’s much richer and grander here. DeccanRummy.com is one of the safest online rummy site offering some of the highest bonuses for deposits. We host some of juiciest rummy games and a huge variety of freeroll and cash tournaments with guaranteed prizes. Apart from standard freeroll and cash tournaments, we also host plenty of contests like festival special tournaments, leaderboard contests, and surprise cash bonuses. Stop treading water and make a killing with our exciting offers and promotions now! November is often associated with rain and storm. How will it be like when a storm of cash hits you? This becomes all important now especially when you have to play cash games and give yourself a chance to top our leaderboard and travel all the way to Pattaya to spend this New Year. Maybe the actual storm might disappoint you but with our November Stormers, you will definitely hit the bull’s eye. With November Stormers, you can easily weather the storm and sail smoothly on your way to glory. 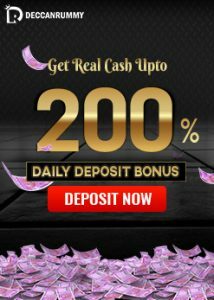 Get 20% bonus on all your deposits with this promotion and boost your bankroll. The maximum bonus you can earn using this offer is Rs. 1000. The deposit code for using this promotion is “VIPPATTAYA”. Add value to all your deposits with this incredible promotion. Every month we see thousands of players take advantage of our bonus offers and go for huge winnings. This promotion is designed to keep you in action at all times. Go ahead! Make your deposit and see it grow by multitudes. 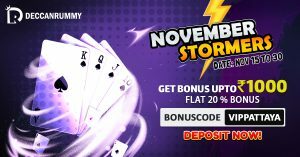 Remember if you play online rummy and choose not to avail these fantastic bonus offers, you’re missing out on a lot of real money! 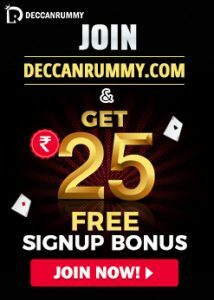 We at DeccanRummy.com always put our best foot forward when it comes to designing promotions and offers. All our offers are designed that way. If you’re an existing player at DeccanRummy, do not waste any moment. Deposit now and start playing real cash rummy games, every cash game that you play could take you closer to Pattaya. If you are a new player, the door is always open, Register for free to get an unparalleled and incredibly beneficial rummy experience now!